I made a very quick and easy card today, featuring the Botanical Butterflies Designer Series Paper. The papers are only available until the end of March as part of SaleaBration. The butterfly on my card has been cut out from the papers, but of course you could stamp a butterfly and then colour it. I wanted to keep it quick and easy. 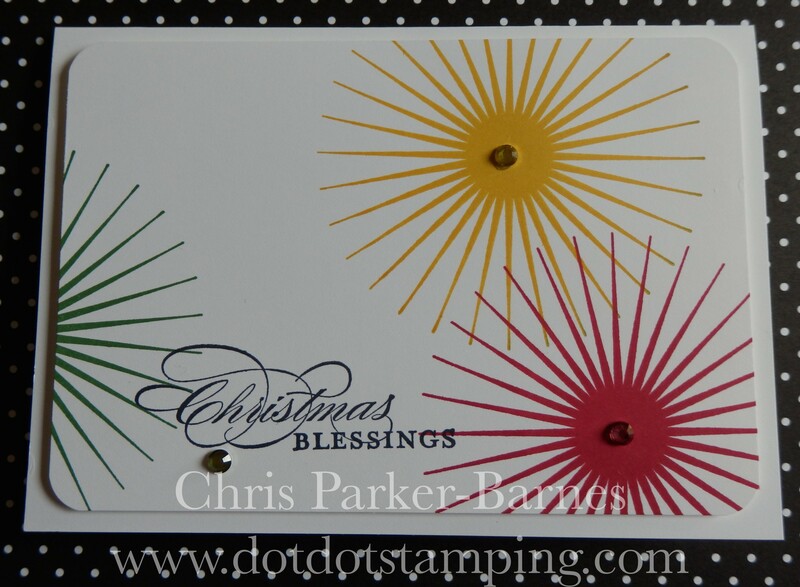 A couple more very quick and easy cards, this time using the Kinda Eclectic stamp set. These could be in any colours you choose. 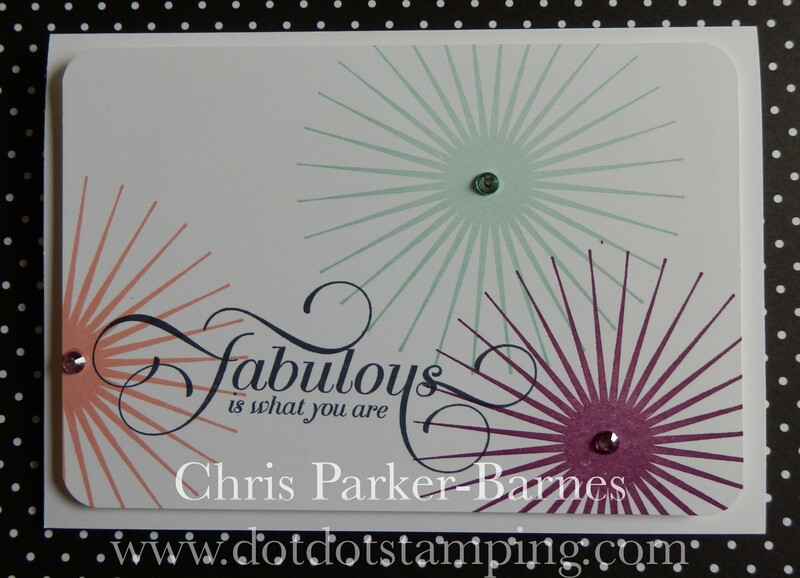 For this card I have chosen some of my favourite Stampin’ Up! colours – Rich Razzleberry, Pool Party and Crisp Cantaloupe. I have coloured the rhinestones using Blendabilities to match the colours. Or how about his colour combo for a Christmas card? This time I have used Real Red, Garden Green and Crushed Curry. Try your own favourite colours, and just have fun mixing and matching colours.